At times when you download a new build of the Windows doesn't it happen that most of your bandwidth is exhausted which in turn creates problems for other online activities taking place? 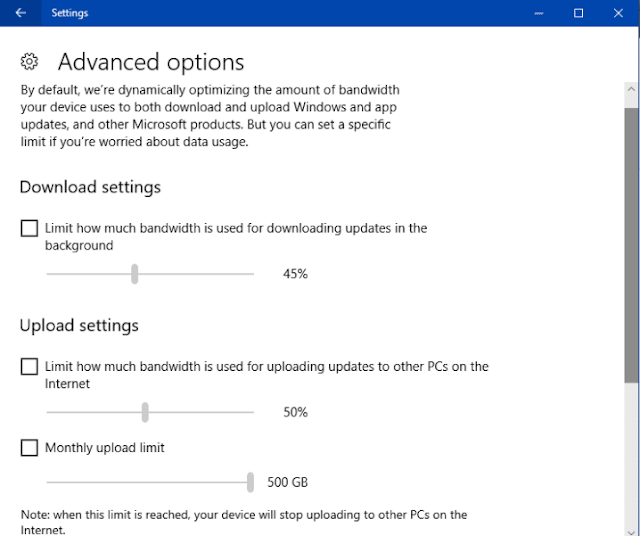 Thus now Windows 10 allows you to optimize the amount of bandwidth required to download and upload updates or for that matter any Microsoft products. This feature also let's set the data limit if there are worries about the data usage. In case you are running on build 16237 or any higher ones then it is possible to make use of this facility.